Myriam has over 12 years’ experience in employment, health and safety, insurance law and dispute resolution. Myriam is passionate about getting straight to the heart of an issue, gaining an early understanding of the desired outcome, and strategizing to achieve the best results possible. She graduated with honours from the University of Auckland, and in addition to her law degree holds a commerce degree (majoring in management and employment relations). Myriam advises on all aspects of employment law including employment agreements, restructuring procedures, disciplinary and performance issues, personal grievances, restraints of trade, human rights and privacy issues and protection of confidential information. Myriam also regularly provides strategic legal advice on health and safety issues, acts for employers throughout WorkSafe’s investigation process, and provides representations in prosecutions through to sentencing. Her significant litigation experience means she has strong advocacy and negotiation skills and has guided many clients to a negotiated settlement where avoiding a hearing is in their best interests. Myriam has appeared in the Employment Relations Authority, Employment Court, District and High Courts. 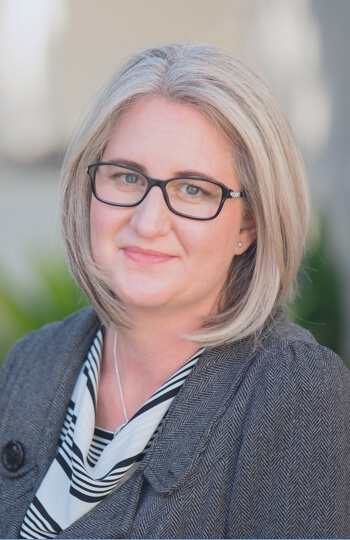 Myriam has been appointed to the newly formed Auckland District Law Society Health and Safety Law Committee, and also regularly delivers training and seminars on topical employment and health and safety issues. She was also the inaugural president of Young Insurance Professionals Inc (2014 to 2017), a successful networking group that grew from 3 to 1300 members under her guidance. Acting for numerous employers under investigation by WorkSafe including to avoid prosecution. Defending an insured employer in a personal grievance that progressed through mediation, the Employment Relations Authority and the Employment Court. Advising employers on complex restructures. Successfully defending an employer in an alleged dismissal case. Myriam is a trustee of Te Kopere childcare. Myriam is Hawkes Bay based, regularly works in Wellington and travels throughout New Zealand.